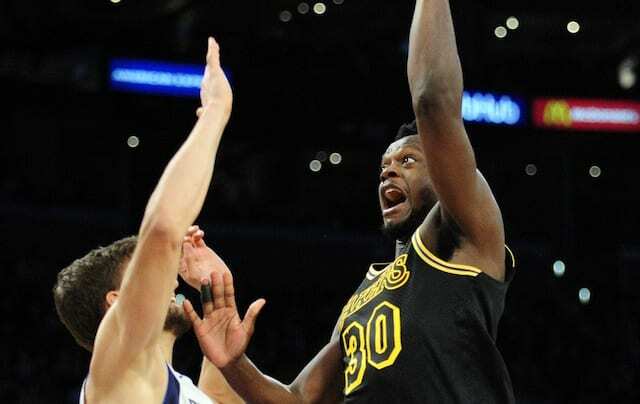 The return of Lonzo Ball and a stellar effort from Julius Randle resulted in the Los Angeles Lakers blowing out the Dallas Mavericks, 124-102, to snap a three-game losing streak. Playing for the first time since Jan. 13, Ball had nine points, seven rebounds and six assists in 17 minutes off the bench. 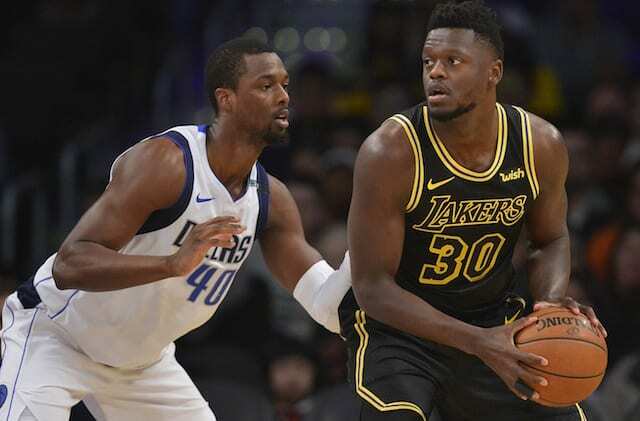 While the Lakers attacked the Julius Randle-Harrison Barnes matchup in previous meetings with the Mavericks this season, Friday saw them looking to exploit Dirk Nowitzki who was tasked with guarding Brook Lopez. That led to Nowitzki picking up two quick fouls, and Lopez scoring three of the Lakers’ first six points. As the Mavericks’ deficit began to grow, Ball and Isaiah Thomas checked in together with the Lakers leading 20-5. Ball immediately made a 3-pointer, sending Staples Center into an early frenzy. And though he wasn’t the focal point of the offense, Randle and Kentavious Caldwell-Pope tied for the team high with six points in the first. That set the tone for the night, particularly with Randle, who had 18 points, 12 rebounds and 10 assists to record a fifth career triple-double. The Lakers’ lead grew to as many as 22 points, through the Mavericks managed to cut into it on multiple occasions. One such instance came early in the third quarter, as Wesley Matthews caught fire and made four 3-pointers. 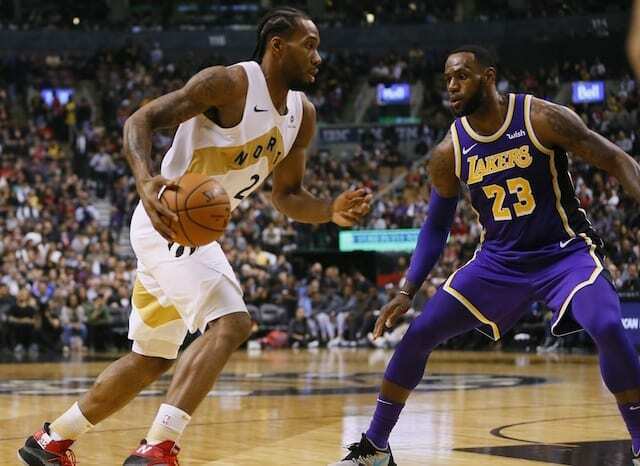 Caldwell-Pope nearly matched Matthews’ efforts, knocking down each of his three attempts from deep in the quarter, and the Lakers held a 19-point advantage heading into the fourth. Nowitzki’s 3-pointer in the fourth quarter pulled the Mavericks to within 13 points and prompted Lakers head coach Luke Walton to call a timeout. His team responded well from the break in action and never allowed Dallas to get another look at the game. In his first home game with the Lakers, Thomas led all bench players with 17 points, adding two rebounds and four assists. Overall, Los Angeles had seven players score in double-figures. One of which was Ivica Zubac, who scored 14 points while receiving the bulk of the minutes at backup center.